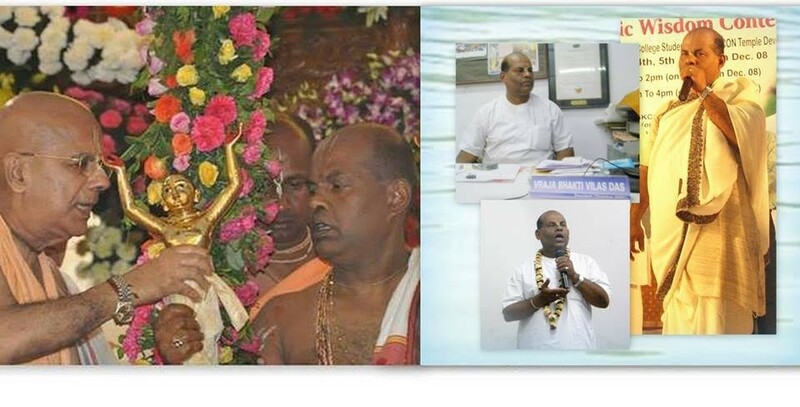 It is with very sad and heavy heart, that I convey the news that HG Vraja Bhakti Vilas Prabhu (53 Years), senior disciple of HH Lokanath Maharaja and one of the most profound Vaishnava Purohit of ISKCON has left his body on Tuesday 8th March at 7:40 am in Vraja Mandal Dham at Kosi Kalan. He left the world with all auspiciousness around him – Srila Prabhudpada Japa playing in his ears, devotees chanting around him, and having Vraja-raja and Ganges Water in his mouth and over his head. He was being treated for liver failure at ILBS hospital Delhi under the care of devotees of Delhi-NCR. His sudden departure has left the devotee community across the world in great sorrow. The last rites were performed on the banks of Yamuna at Kesi Ghata in Vrindavan. (INDIA). He is survived by his wife, a daughter, and a son. He had dedicated his entire life in serving the mission of Srila Prabhupada. Born in a Vaishnava Brahmin family of South India, he joined ISKCON at a very young age in mid 80s. He received his Harinam Diksha in 1991 and Brahmin Diksha in 1992. 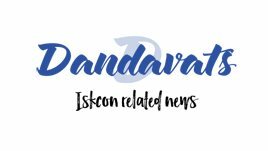 He had served in many capacities in ISKCON Delhi which includes Sankirtan department, Head Pujari, Life Member preaching, and as Vice-President. He then served as Temple President of ISKCON Noida and contributed significantly with great determination and vigour for building the project. He is remembered by devotees as being soft spoken, caring, and as one of the most profound devotee for Bramhinical services like performing vaishnava Yagna, Deity installation, and diksha ceremonies. He was the head priest during the deity installation and opening festivals of many temples such as ISKCON Delhi, Aravade, ISKCON Kanpur, and ISKCON Alachua. We are all blessed to have such exalted souls on the planet with us. As Krishna says in Bhagvada Gita “antakale ca mameva smarana muktva …”, One who remembers me at the time of death comes to my personal abode. 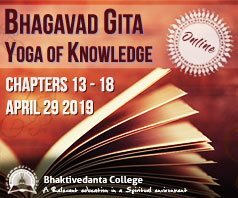 The devotees who were closely serving HG Vraja Bhakati Prabhu in the hospital, could hear him chanting the shlokas and remembering the Lord of Tirupati, and this was when externally he was in great pain. This showed his mood of surrender towards Lord. Let’s pray to Their Lordships Sri Sri Radha Govind to give Their eternal service to Vraja Bhakti Prabhu and give strength to his immediate family to bear this great loss. Also let’s join hands in serving the remaining family of this Great Vaishnava devotee of Lord.